After Tel Aviv Shabbat business scandal, Likud MK proposes bill to protect the rights of Shabbat-observant Israelis. 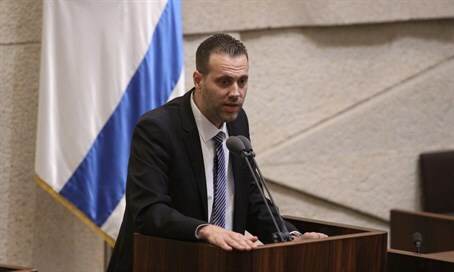 MK Mickey Zohar (Likud) submitted a bill Wednesday that would outlaw forcing a business owner to work on Saturdays (i.e. Shabbat, the Jewish day of rest - ed.) as a condition for joining a company or franchise, and would fine business owners who ignore the directive. In addition, business owners would be able to file a claim for damages against members who violate the Sabbath that harm them financially. Zohar's bill proposal follows a scandal which emerged Wednesday, after a major Tel Aviv company fined a store for closing on Shabbat in alignment with traditional Jewish practice - and the common Israeli business model. The bill would effectively ban all commercial activity on Shabbat, based upon already-existing Israeli laws over a mandated rest day. Legal tools would be provided to workers who have been forced to work during that rest period which give precedence to workers forced to work on Shabbat. As of now, Israeli laws regarding a rest day state that while the default rest day is Shabbat, companies may set any other day as the rest period. "It is unacceptable that in the Jewish state, where Shabbat is a day of rest, a citizen can be fined for respecting Shabbat observance," Zohar stated. "This is a despicable act that harms our Jewish identity."